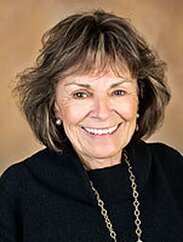 Marilyn Danis opened Residential Mortgage Corp in 1991. With Fayetteville being a growing military town, there was an ever-increasing need for mortgage lenders who understood and offered various government programs to help our veterans become homeowners. During the 1990s, Marilyn spent most of her time expanding Residential Mortgage Corp. As the market grew, so too did the company. Marilyn kept the company on solid footing and expanded into other markets. By the late 1990s and early 2000s, the company was originating loans in over 25 states from coast-to-coast. Residential Mortgage Corp is now celebrating its 27h anniversary and has become the longest-standing, locally owned and operated mortgage lender in the area. In February 2018, Marilyn was the recipient of the prestigious Athena Award, an international Chamber of Commerce program that annually recognizes outstanding business women for their strength, leadership and fostering of other women in career development and success.